Developing original TV programming like ‘House of Cards’ costs big bucks, and the streaming giant wants its customers to help with the financing. 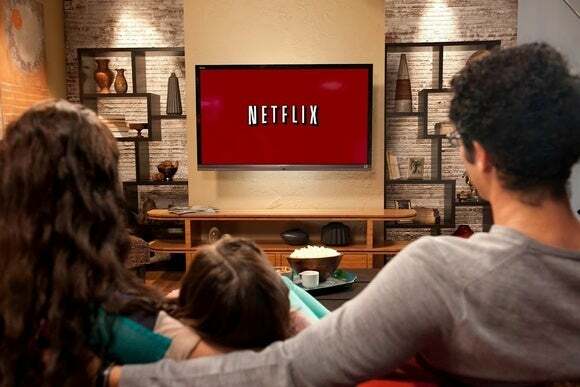 Netflix quietly announced today that it’s increasing the price of its video-streaming service by $1 to $10 per month. This will impact only new subscribers signing up for the company’s two-screen-plus-HD service at first (you can stream video at up to HD resolution to a maximum of two devices simultaneously). Existing customers will be billed the higher rate at a later date. The impact on you at home: Announcing a price increase that doesn’t impact current customers is a smart move on Netflix’s part. Everyone will spout off on social media for a few days about how outrageous this is, and that they fully intend to cancel their subscriptions before they send another penny to the money-grubbers at Netflix. After not seeing their actually bills go up, however, most subscribers will cool off and go back to binge-watching Orange is the New Black, House of Cards, or Wet Hot American Summer. 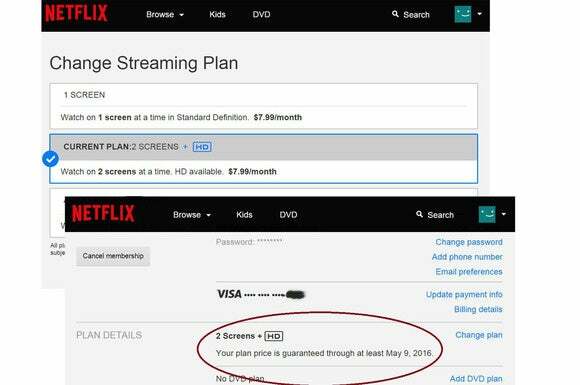 Long-time Netflix subscribers will eventually see their bills go up by $2 per month. 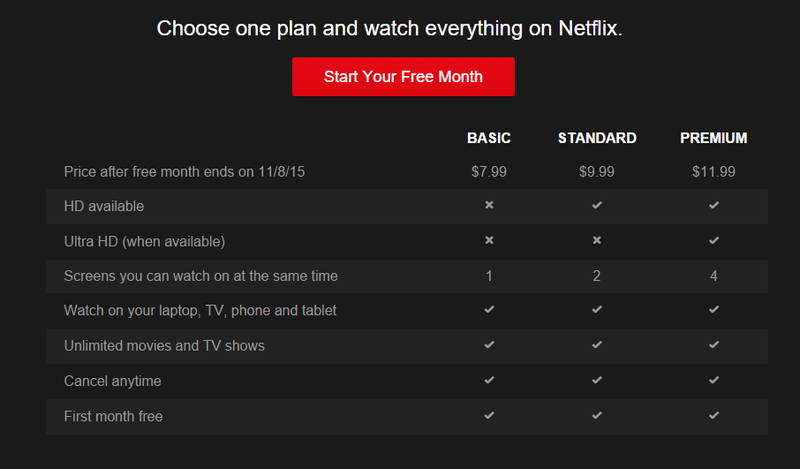 Netflix also offers one cheaper and one more expensive service tier. 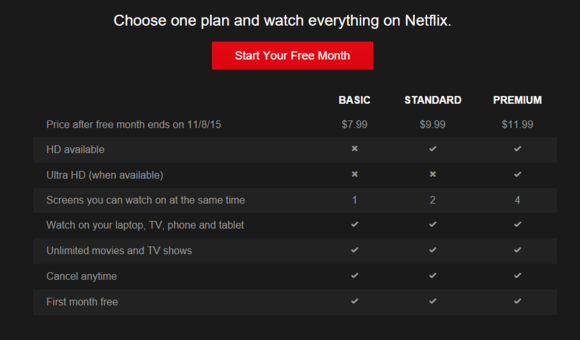 The “basic” plan costs $8 per month, but limits you to streaming to just one device at a time and only in standard definition video. The “premium” plan costs $12 per month and allows you to stream up to four devices simultaneously with access to both HD and ultra-HD (4K) video streams when they’re available. Netflix sees its future as a content creator, not as a conduit for delivering other company’s content. That’s why it takes longer and longer for new releases to show up on the service, and it’s why Netflix let its distribution deal with Epix expire (a deal that Hulu—which charges $12 per month for ad-free streaming—quickly snapped up). But developing new movies and TV shows that are good enough that people will pay to watch is an expensive proposition. Aside from borrowing money or offering more stock, subscription-fee revenue is the only means Netflix has of funding that development. Do you have a Netflix subscription? Do you think it’s worth paying an additional $12 per year for, or are you thinking of looking for greener pastures? Let us know in the comments section, below.